Looking east from the Main Street Bridge. 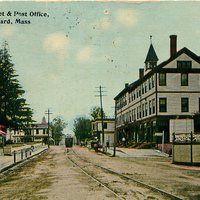 Post Office was located in this end of Maynard’s Block (Masonic Block) on the right. Note the bandstand in the foreground. This is on Walnut Street (King Square). The bandstand was removed in 1915 as a result of an argument between the bands as to who was going to use it for summer band concernts. 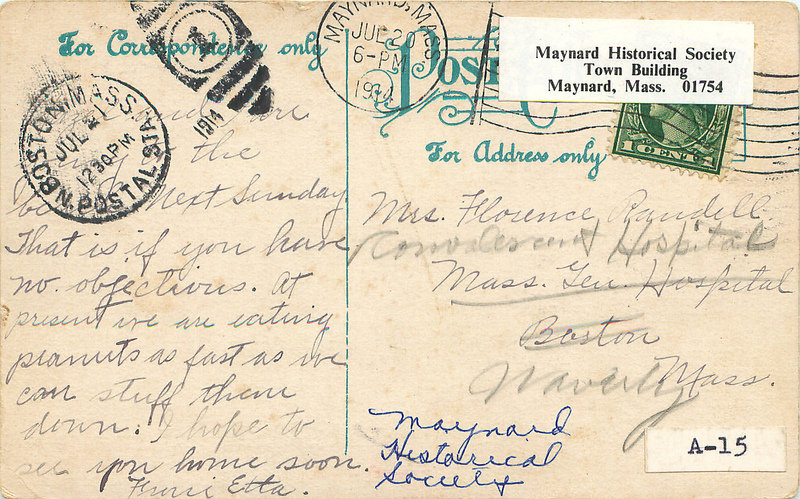 It was the property of the Maynard Brass Band, having been donated to them by Abel T. Haynes. 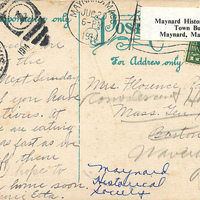 On left, A.T.Haynes Bock (Riverside/Gruber Furniture). White picket fence and fir trees in front of the home of Amory Maynard III. Site of Sears store in 1970s. Beyond this, naylor Bloc, at corner of Main and Nason Streets. Thwas was destroyed by fire in winter of 1917. Extreme right: Electric car standing at Creighton Block (Center Outlet). Bandstand was removed to a site off of Acton Street near the Whitney house. 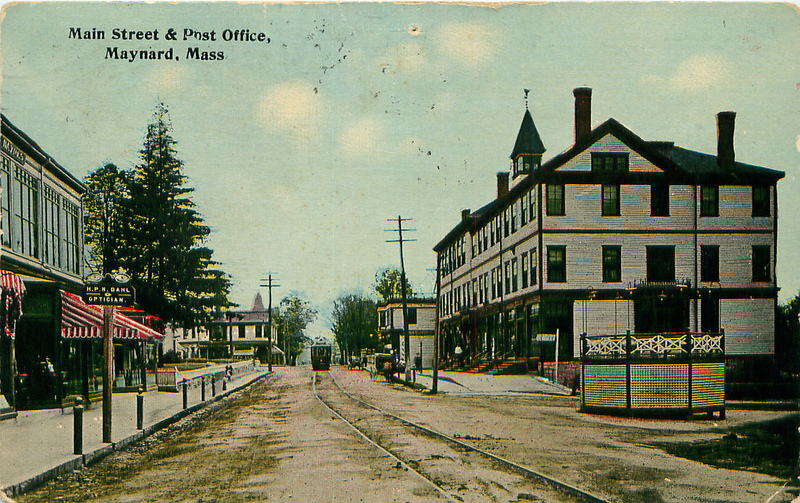 “Main Street and Post Office - 1914,” Maynard Historical Society Archives, accessed April 25, 2019, http://collection.maynardhistory.org/items/show/350.